Pit reporter Greg Rust will depart Supercars’ television coverage at the end of the 2017 season. The Sydney-based Rust will finish up his on-air duties with Supercars at the Coates Hire Newcastle 500 following two stints in the category. Rust worked on Supercars coverage from 1998-2006 with Network Ten before returning to the championship at the start of the current Fox Sports era in 2015. He currently serves as a pit reporter during the Virgin Australia Supercars Championship sessions as well as commentating the Dunlop Super2 Series. Confirming his impending exit, Rust said he intends to stay involved in automotive broadcasting. “After long chats with Supercars Management over the past few months we’ve agreed to a change for next year,” he said. Supercars CEO James Warburton thanked Rust for his efforts with the championship. “Greg is a true broadcasting professional and has been a valued member of our Supercars Media team over the last three years,” said Warburton. 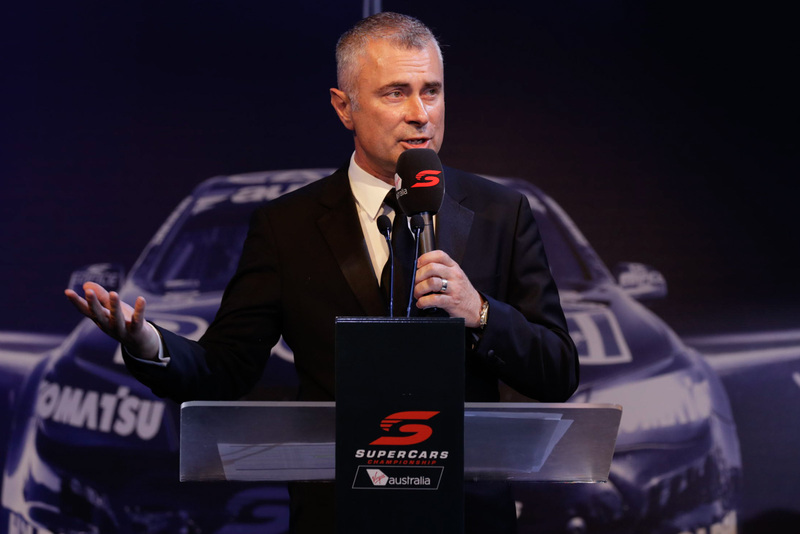 “His diverse skills have not only provided us great coverage from the pit lane and commentary box but have provided Supercars with a world class host for our season launches, the Gala Dinner and many corporate engagements.